1 Combine Hellmann’s® Vegan, shallots, dill, vinegar and mustard in large bowl. 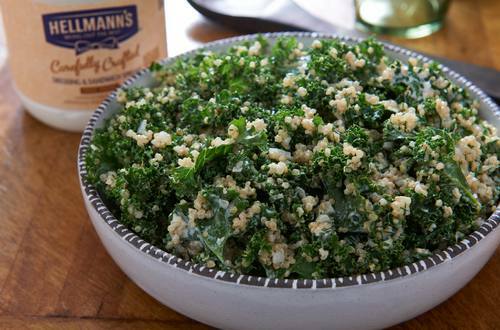 Add quinoa and kale and toss to coat. Serve chilled or at room temperature.